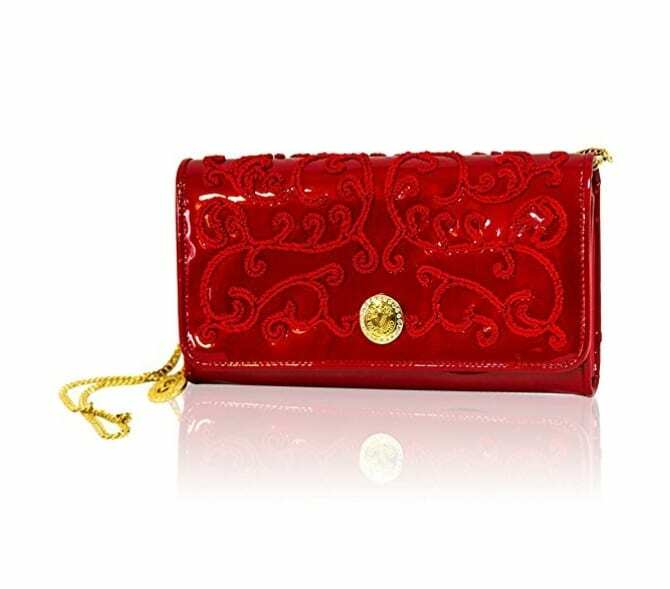 Valentino Orlandi Italian Designer Red Damask Embroidered Leather Clutch Wallet w/Chain The new collection Valentino Orlandi 2017/2018 offers unusual combinations and refined original styling with careful attention to detail. This is a collection for a sensual and romantic woman. 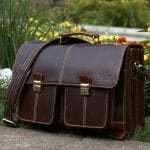 Valentino Orlandi’s bags are very feminine reflecting the know-how of over 40 years of fine workmanship and craftsmanship. Featuring glamourous and exclusive mini bag and handbags made of glitter paint and covered with a lace embroidery. Combinations of colors and woven material in mini bags with precious golden chains. Small squares in a mix of colors create optical effects. Blue, cream, turquoise and teal join the pearlescent silver, purple, pink and deep blue. Exotic flavor in Shoulder Bages, shoulder bags and handbags in pearlescent paint and exotic shades of Marsala wine and burgundy, decorated at the corners with gold metal details: ornaments that bear designs typical plots of distant cultures.